← What’s All This Then? Here at Sport Has No Gender it is amazing to see history being created by passionate, driven young women in sport. Jessica Fox is definitely one of those who we salute as a role model to all young women to pursue your dreams and chase that illusive historic mark. 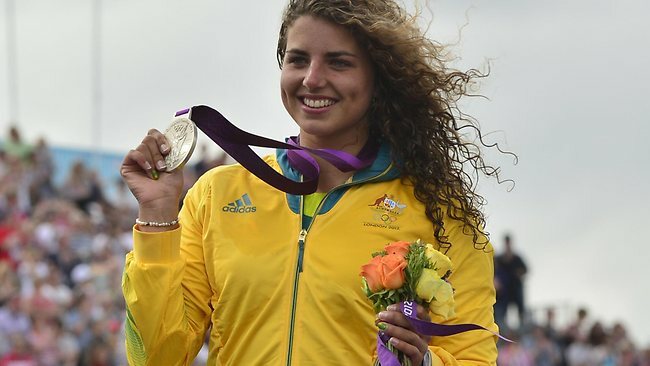 Australia’s Jessica Fox has created history by winning a third consecutive women’s C1 title at the Canoe Slalom World Championships in London. The 21-year-old said she was motivated by failing to defend her K1 world title 24 hours earlier. Her win makes her the first woman in both K1 and C1 to win three consecutive titles, and she joins only two other paddlers – one of the others being her father, Richard, to win a hat-trick of World Championships. Fox dominated the final, one of only two athletes to complete the course without a penalty, and finishing a massive 4.91 seconds ahead of the Czech Republic’s Katerina Hoskova in a time of 113.51 seconds. Australia’s Alison Borrows finished eighth. The teams finals followed the individual events with Fox winning a second gold medal in the women’s C1 event alongside Borrows and Lawrence, while the men’s C1 and K1 teams finished 10th and 21st respectively. With a massive slalom canoe complex located at Penrith Whitewater Stadium in Sydney’s west, along with a host of lakes, beaches and waterways across the country to get out and have a paddle, it is hoped the success of Jessica will encourage other young women to seek out opportunities in the world of slalom canoe. So many amazing sports women, if only they had the same media courage as men! They are great role models for young girls in sport!!! What an amazing story! Interesting that the women’s team did so much better than the men! It is a really interesting situation at the moment Molly. You’ve got the women’s cricket team as world champions yet the men just dropped the Ashes, history-making feats in the canoe and netball events, and yet a nation that prides itself on the being the best fails to give them the airtime they deserve. Think of the thousands of young females who could benefit from hearing Jess’ story to motivate them to achieve anything? !